Opposition politicians in Latvia have reacted angrily after discovering that a plaque dedicated to the Italian dictator Mussolini has been put up in a war cemetery in Riga. A leftist opposition party which holds several seats in parliament demanded explanations from the government. On Wednesday, Culture Minister Helena Demakova met the deputies to try to answer their concerns. The controversial memorial to Hitler’s ally is placed alongside a monument dedicated to those who fought for Latvia – the “sons and daughters of Latvian and other peoples, who fought for Latvia with arms or supported Latvia’s independence”, according to the inscription on the monument. A plaque was erected to Mussolini to honour his acknowledgement of the country’s independence in 1921. Responding to the outraged MPs, the Cuture Minister said those concerned with the ‘glorification of criminal regimes and their satellites’ should turn there attention to the soviet-era Monument of Victory in Riga’s centre, and not ‘searching with a magnifying glass’ in cemeteries. However, citing Estonia’s recent experiences, she said the removal of monuments is a bad option in general. The removal of a Soviet war monument in Tallinn last year caused riots in the Baltic country. During questioning, Demakova would not say whether she considered Benito Mussolini a war criminal. Instead she praised the deputies’ concern, saying the public had a right to know the ‘historical reasons for reading this or that name in a cemetery’. Mussolini is a controversial figure in Italy’s history. He helped make fascist ideology popular at home and abroad. During WW2 he sent Italian soldiers to fight side by side with Nazi troops. 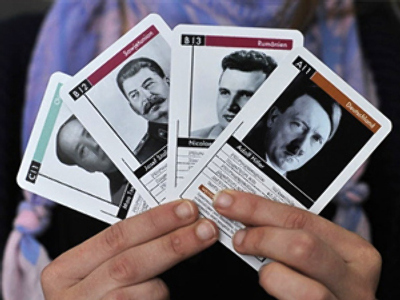 Critics say he shares the blame for the atrocities during the World War II. 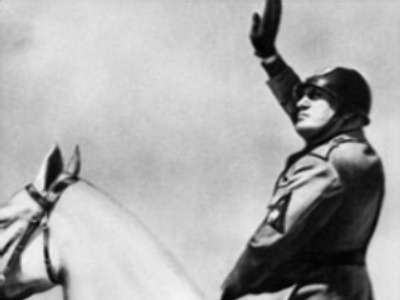 In Italy, Mussolini still has many followers, particularly among the far right. They revere him as a great leader and a patriot, whose name was marred because of his association with Hitler.